5 Best Gaming Headset Under $100 - Crisp Quality Sound! Gamers are well-aware of the importance of high-performing video cards and high refresh rate monitors, among other things. However, successful and fearsome gamers also know that having a high performing gaming headset should not be omitted at all. In case you’re not using one, you are probably well aware of that feeling when someone sneaks up and kills your character because you didn’t hear them coming. Those split seconds mean a lot and having a good set of gaming headsets means that you don’t have to be afraid of those situations anymore. The good news is that you don’t have to spend a lot of money to get yourself a good gaming headset. 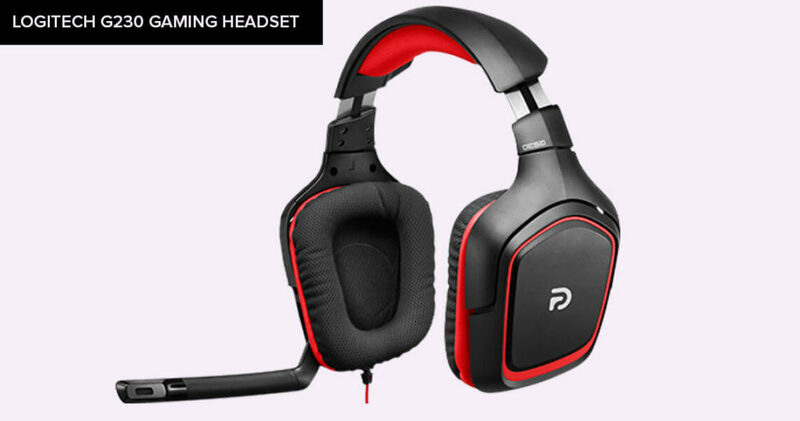 In this article, we will help you find the best gaming headsets under 100 dollars that will help you reach those high scores without breaking the bank. No matter which one you choose from the following list, be prepared to experience a whole new feeling the next time you play games like Battlefield or Counter Strike. Now, let’s get ready for the real deal. Below you’ll find our list of the best gaming headsets under 100 dollars. We’ve done an extensive research on finding and testing popular headsets that are currently available on the market. Among some of the criteria we used are things like technical specifications (and real-world performance as well), build quality, and customer feedback. All of those categories provided valuable information that allowed us to narrow down the list we’re about to present you. Logitech is one of the companies that know how to make an affordable yet functional gaming accessories. The company’s G230 stereo gaming headset is the most affordable on this list, priced at $34.99. Furthermore, you can find this product discounted at times, which makes it even more attractive. Logitech G230 is the lightest headset on this list, which means that those of you who don’t like heavy headsets are in for a treat. The main reason for this light weight is the fact that this headset is made from plastic. However, Logitech is known for high-quality accessories so you shouldn’t expect cheap plastics that are easily damaged. This product actually seems a lot tougher that most similar headsets. In addition, it is also important to be said that the ear and head cushions are made from a velvety fabric that actually feels very comfortable. Still, this material could breathe a bit more, which is the reason why you’ll want to take it off every couple of hours. Among other notable features are sound controls that are located on-cable and are easily accessible. The earcups can be fine-tuned and adjusted to sit around your head comfortably, and they can be rotated by 90 degrees. When it comes to audio, you should know that the Logitech G230’s sound is powered by 40mm drivers that feature a frequency response of 20Hz to 20KHz. You shouldn’t expect the best possible sound there is, but you’ll be more than happy with it. The same goes for the headset’s microphone. When HyperX announced its (now quite popular and successful) Cloud series of headsets, both PC gamers and reviewers were blown away by it. Since then, the company managed to produce a wide range of Cloud headsets to fit different budgets and to reach as many gamers as possible. 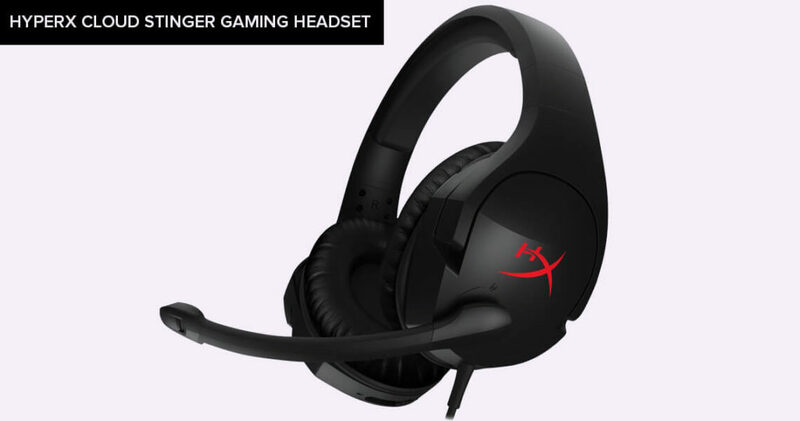 The Cloud Stinger is HyperX’s affordable Cloud headset that actually doesn’t show any compromises. Priced at around $50, this is probably one of the best gaming headsets under 100 dollars you can possibly find. Let’s see what makes the Cloud Stinger so special. To begin with, there’s the superior sound quality making us sure that you’ll use your Cloud Stinger for a very long time. Even though this headset it quality made, this doesn’t mean HyperX hadn’t found a way to make it lightweight. In addition, the earcups (that can rotate 90 degrees) are fitted with memory foam and they feel very comfortable as well. Perhaps the most interesting thing regarding this gaming headset is the sound quality. The Cloud Stinger’s speakers are powered by powerful 50mm drivers – and these actually are the same as the ones on the original Cloud. The quality of directional sound is simply astonishing, making us sure that you won’t miss a beat. Another amazing feature is the headset’s microphone. This is a noise canceling microphone that is also mounted on a swivel-to-mute arm. This means that you can move it away when not in use and this will deactivate the mic. 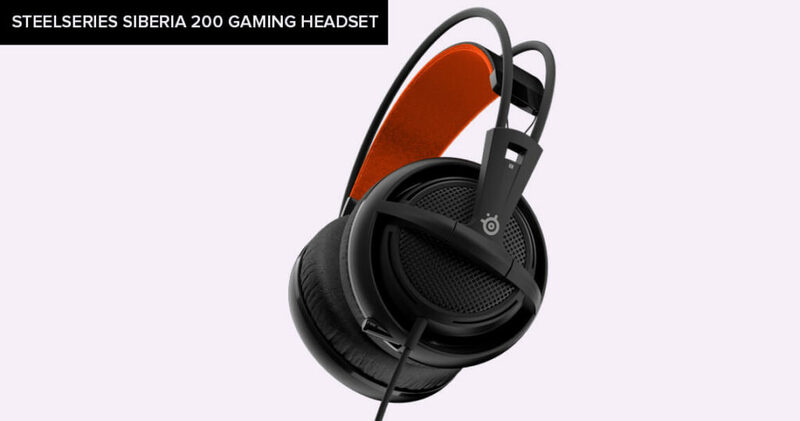 The SteelSeries Siberia 200 is perhaps one of the most iconic gaming headsets, widely used around the world. In case you ever watched an online gaming tournament, you’ve probably seen this headset model since the Siberia 200 is loved among numerous professional players. Almost all of SteelSeries’ headphones and headsets feature a unique suspension headband that evenly redirects the weight of this product around your head. Trust us, this is one of the most comfortable headsets you can currently find on the market. Another great thing about this headset is its adjustability since no matter if you have a smaller or larger head, you can use the provided suspension mechanism to create the perfect fit. We also shouldn’t forget to mention the audio quality. SteelSeries is known for high-definition directional sound, which is of high importance to any reputable gamers. With Siberia 200, you won’t have to worry whether you’ll hear your enemy approaching before you see them. Even though HyperX is also known for an amazing directional sound, SteelSeries’ headsets are a couple of steps ahead when it comes to this price range (around $50). The only thing that could be improved here is the microphone. Even though the sound quality is amazing and you’ll clearly hear what others say to you, very often you’ll find yourself repeating your words. Perhaps we’ll soon see an improved Siberia 200 that resolves this issue. You’ve probably heard about the Razer Kraken PRO before. 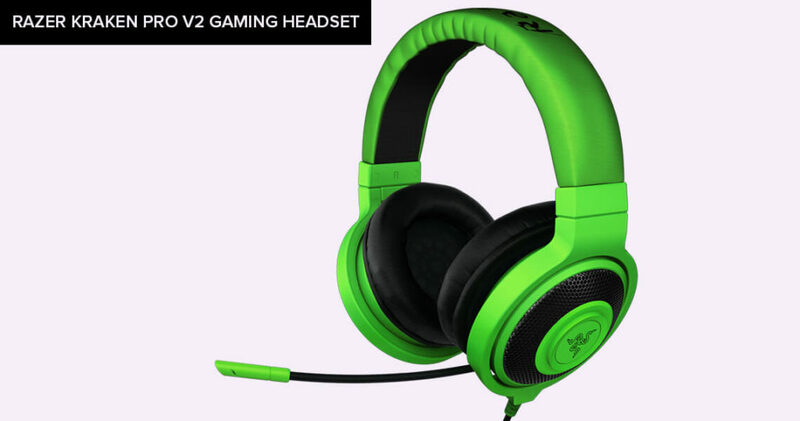 This is because this is one of the most popular Razer’s headsets that been around for a while now. However, what you need to know is that this company is periodically refreshing this model with updated internals. In this article, we are referring to the latest Kraken PRO. The Razer Kraken PRO gaming headset is priced at around $80 which tells us that this is a premium priced headset (even though you can find numerous higher-priced models as well). However, this doesn’t automatically mean that you should expect better sound or better build quality than the headsets we previously told you about. This is because one of the most prominent features of the Kraken PRO headset is its adjustability in terms of the sound. During the last couple of years, this company managed to bring numerous enhancements to the Razer Software Suite, used to fine-tune different options and settings to get the best possible sound for a specific gaming genre. This means that you should be prepared to dig into these settings to get the most out of this headset model. In other words, this is a high-performing headset model, but it’s not for everyone. On the other hand, you can expect high-definition directional sound. The Kraken PRO’s sound is powered by 40mm neodymium magnet drivers that are optimized for clear highs and mid-ranges, even though this headset can also produce very powerful bass as well. Sadly, this headset’s microphone is sub-par for its price range, where we expected to experience very clear sound and to avoid echo. This didn’t happen. 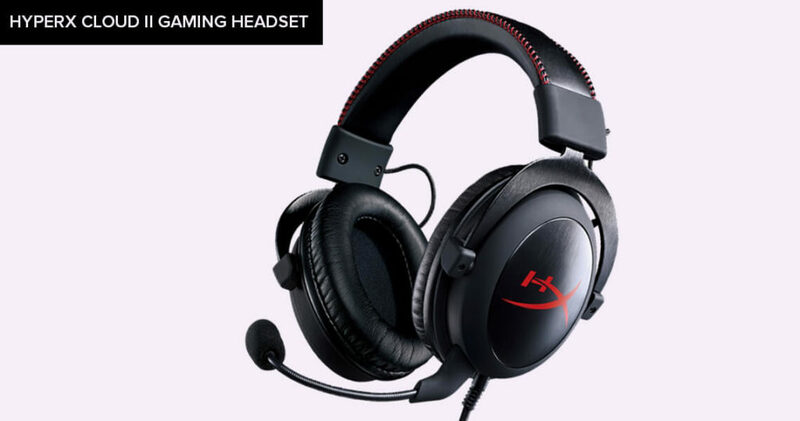 The HyperX Cloud II gaming headset is the most expensive on this list. However, there are numerous reasons why this headset is among the best gaming headsets under 100 dollars. To begin with, the Cloud II is made of steel but somehow this headset is very lightweight and comfortable to wear. There are several ways to adjust it to your head’s shape and size. You can count on wearing it for several hours at a time without even noticing any weight or discomfort. Then, there’s the sound. The Cloud II’s sound is powered by 53mm sound drivers that provide the best possible sound quality. You can count on powerful bass, great amounts of treble, and an amazing audio response that makes this headset suitable for gaming, movies, and music. The surprising thing here is that even if you spend more money on a higher-end headset, you probably won’t feel any difference when it comes to sound quality. Another amazing thing about the Cloud II is its microphone. It is capable of producing very clear sounds, where your allies will clearly say what you want to say. Again, this headset can be used beyond gaming. When it comes to Skype or Facebook video, the Cloud II is the headset you’ll want to use. 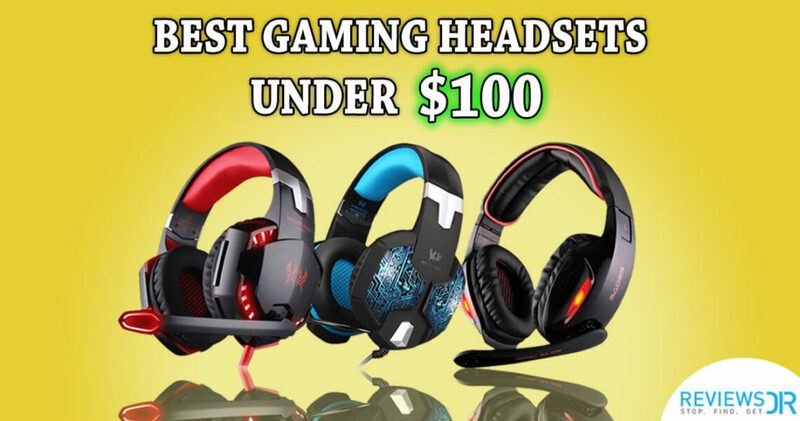 What To Look For When Choosing The Best Gaming Headsets Under $100? Now that you know our recommendations for the best gaming headsets under $100, let’s see how we can help you narrow down your choice. Here are some of the things you need to be careful about when buying a new gaming headset. ✎ Read Also: 7 Best Gaming Keyboards Under $50/$30/$20 – Keys To Gaming Peace! First and foremost, you need to make sure that your new gaming accessory can last a few punches. Even under $100, there is a lot to choose from. As you can see from our list of recommendations, more affordable headsets are made from sturdy plastics, while some higher-priced are made from steel and other durable materials. When it comes to comfort, there are two things you need to know. First, make sure that your new headset is highly adjustable so it fits your head’s shape and size. Some gamers like very snug headsets, while others don’t like that feeling. Either way, there’s the right kind of headset waiting for you. You also must not forget about materials that are found inside earpads. Make sure this material is light and breathable to avoid sweating and irritation to your skin. Next, there’s the sound performance. The main difference between gaming headsets and regular headsets is directional sound output. So, pay attention what other gamers are saying and what are their experiences. You will hardly get to learn about sound quality simply by check out technical specs, so personal experiences are important. This also goes for microphones that are notoriously problematic when it comes to gaming headsets. Once you narrow down your list of the best gaming headsets under 100 dollars, there is one extra step to make sure you’re making the best possible decision. Don’t forget to read reviews and see some pros and cons of the headsets you like. In addition, check out what other users are saying, which can be very helpful. In A Nutshell – Decided Which Gaming Headset To Go For? We sincerely hope we helped you find the product you are looking for. As you know by now, there are a lot of amazing gaming headsets under 100 dollars, so there’s a lot to choose from. We also hope that you’ll enjoy your new headset and that it’ll help you reach those high scores. Please use the comments section to post your opinions and feedback. In case you feel we missed something out, please don’t hesitate to tell us.